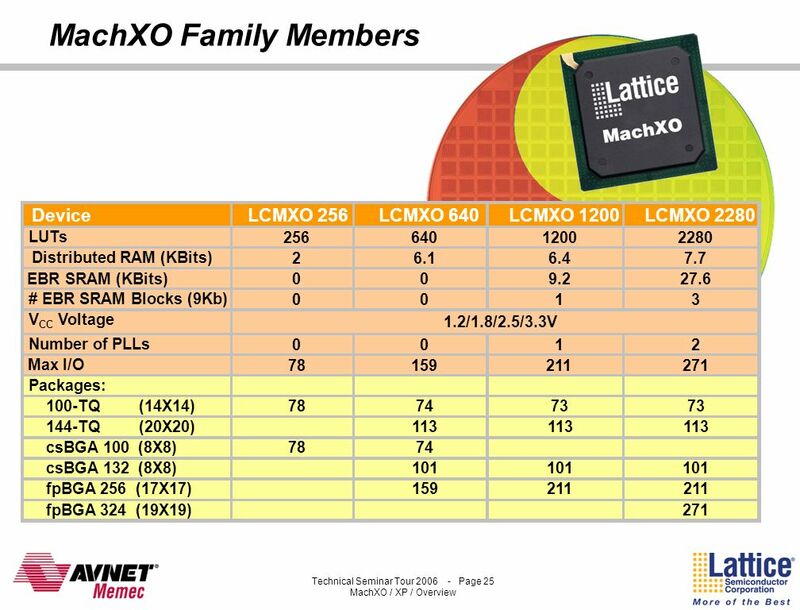 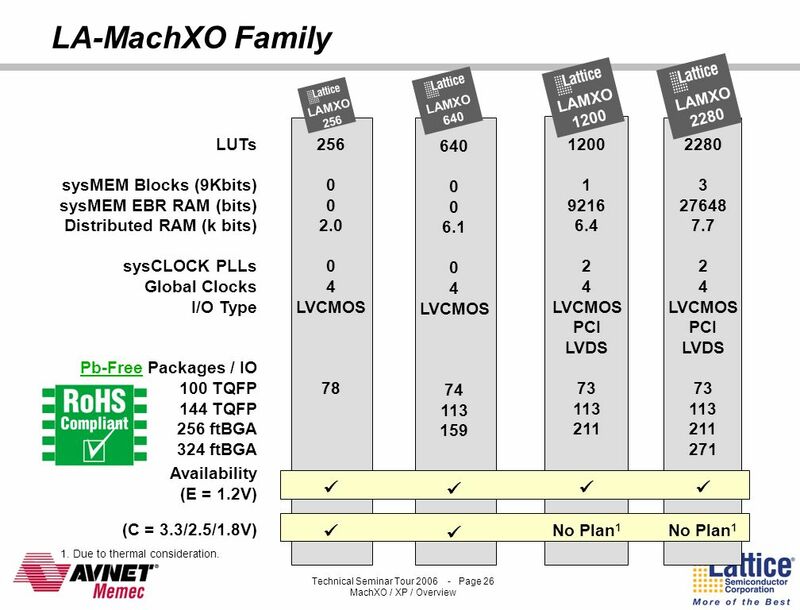 LAMXO 1200 LAMXO 2280 LAMXO 640 LAMXO 256 LUTs sysMEM Blocks (9Kbits) sysMEM EBR RAM (bits) Distributed RAM (k bits) sysCLOCK PLLs Global Clocks I/O Type Pb-Free Packages / IO 100 TQFP 144 TQFP 256 ftBGA 324 ftBGA Availability (E = 1.2V) (C = 3.3/2.5/1.8V) 256 2.0 4 LVCMOS 78  640 6.1 4 LVCMOS 74 113 159  1200 1 9216 6.4 2 4 LVCMOS PCI LVDS 73 113 211  No Plan1 2280 3 27648 7.7 2 4 LVCMOS PCI LVDS 73 113 211 271  No Plan1 1. Due to thermal consideration. 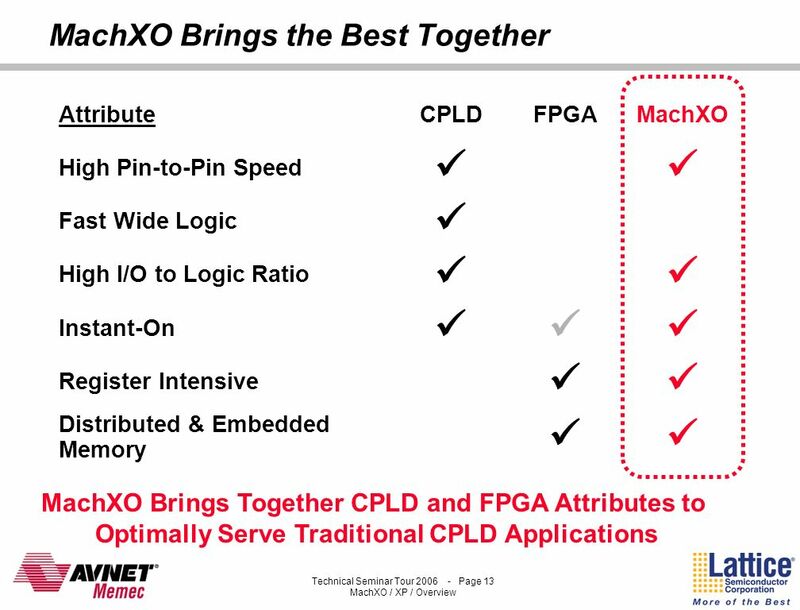 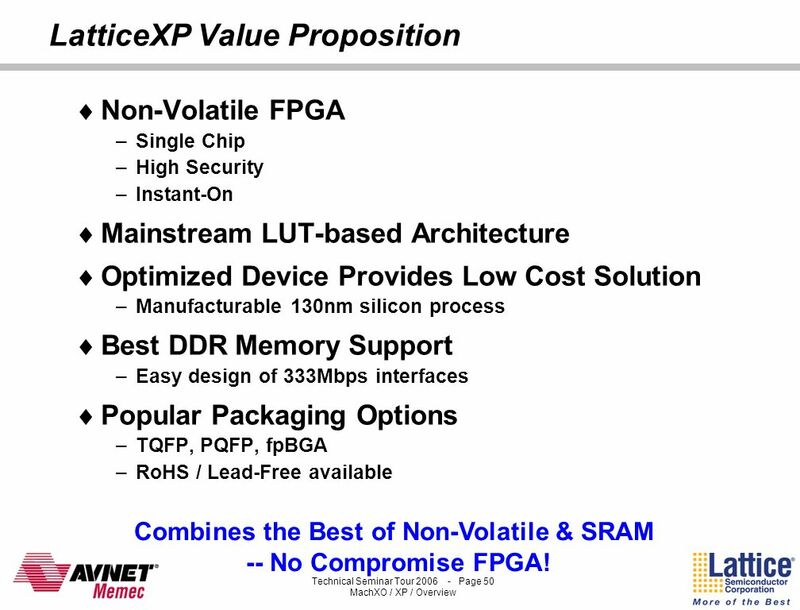 Non-Volatile FPGA Single Chip High Security Instant-On Mainstream LUT-based Architecture Optimized Device Provides Low Cost Solution Manufacturable 130nm silicon process Best DDR Memory Support Easy design of 333Mbps interfaces Popular Packaging Options TQFP, PQFP, fpBGA RoHS / Lead-Free available Combines the Best of Non-Volatile & SRAM -- No Compromise FPGA! 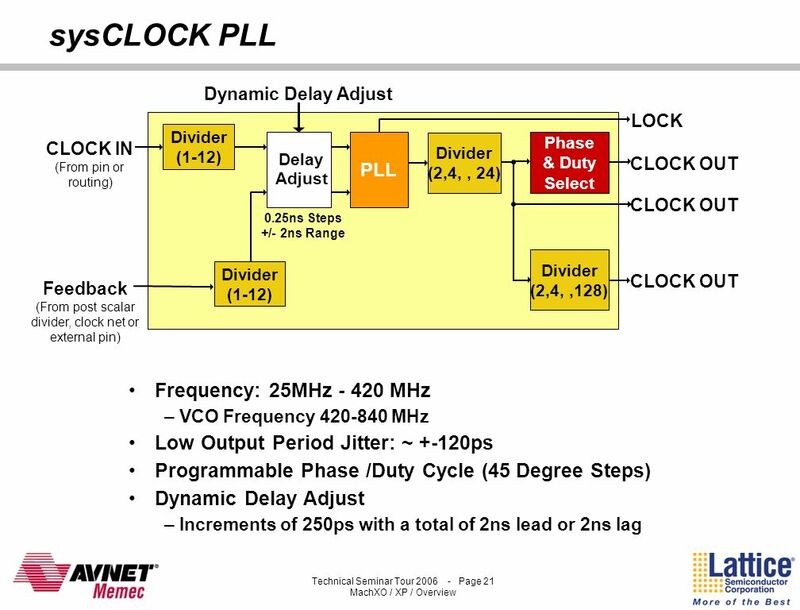 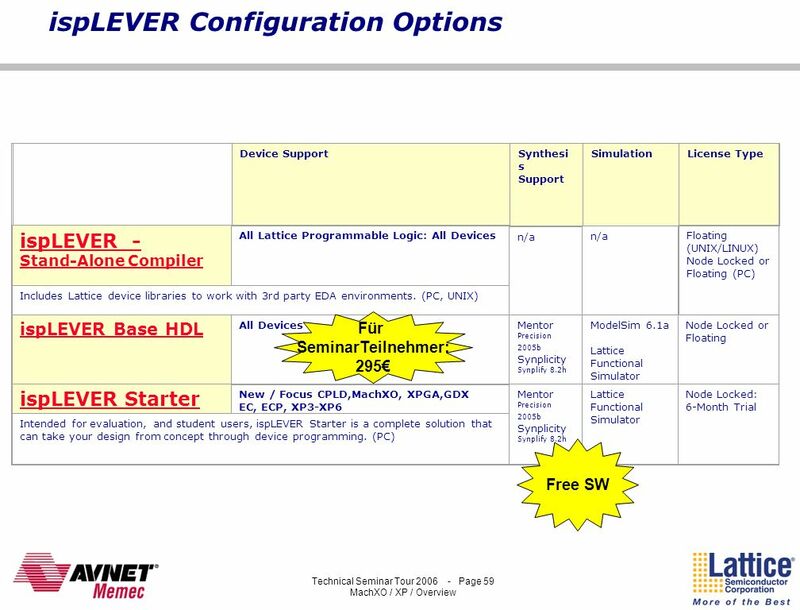 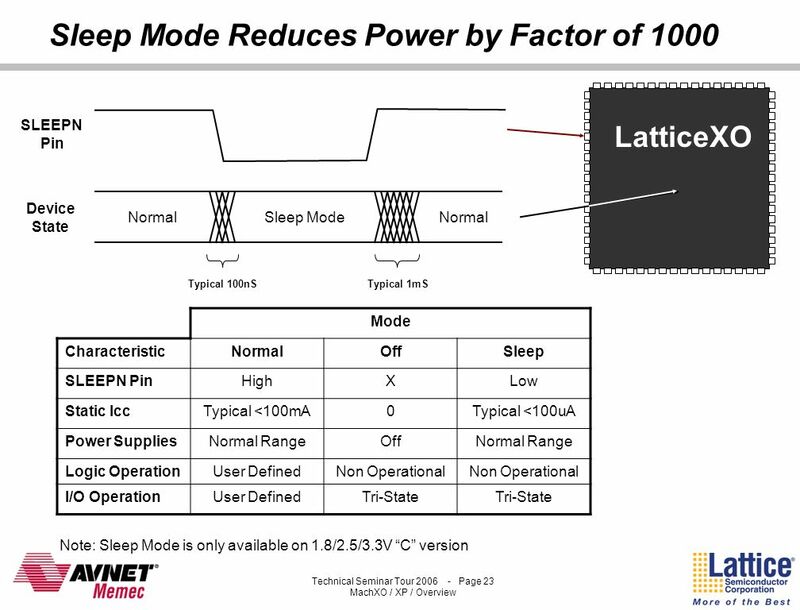 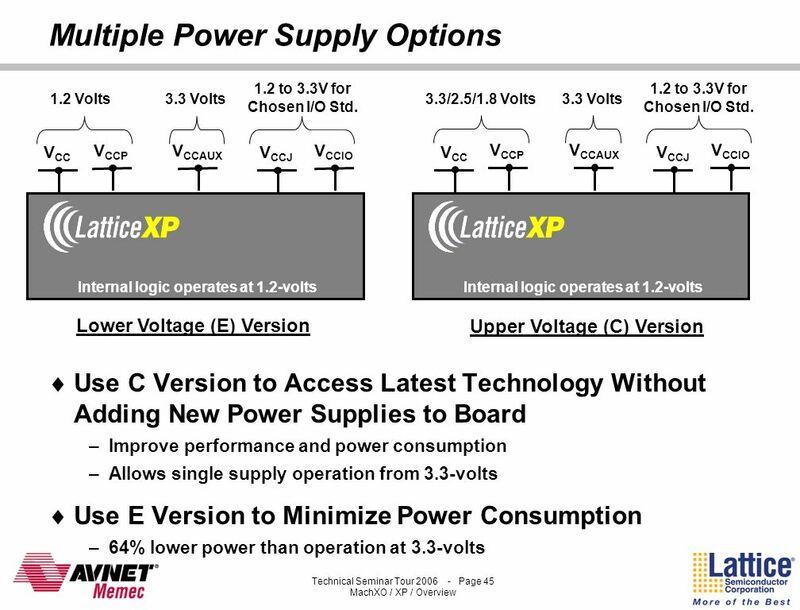 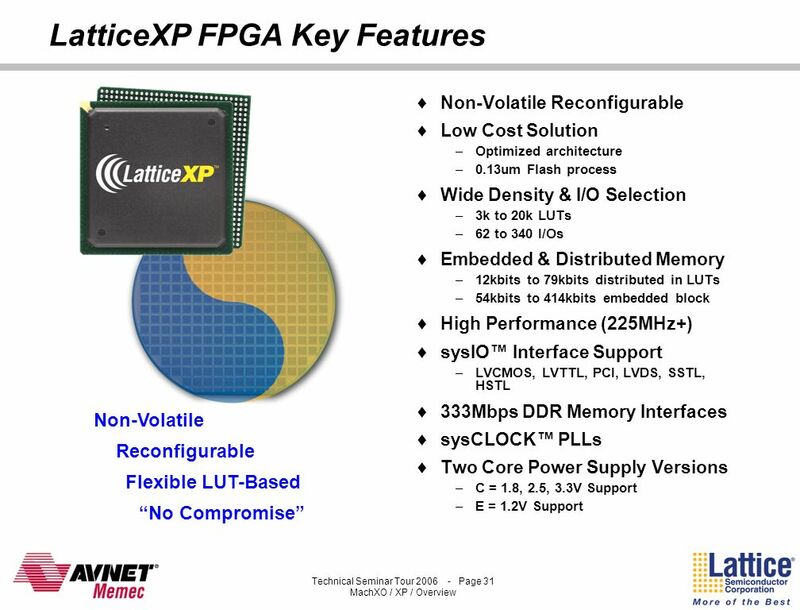 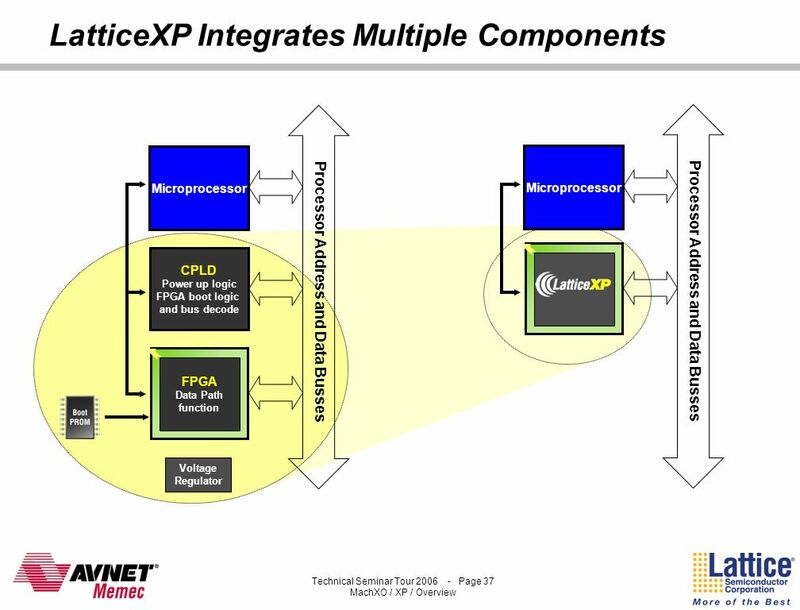 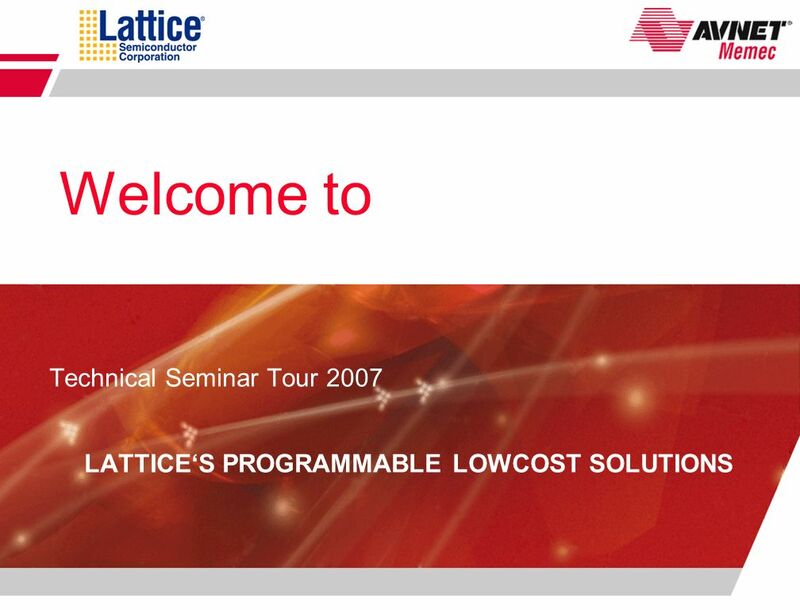 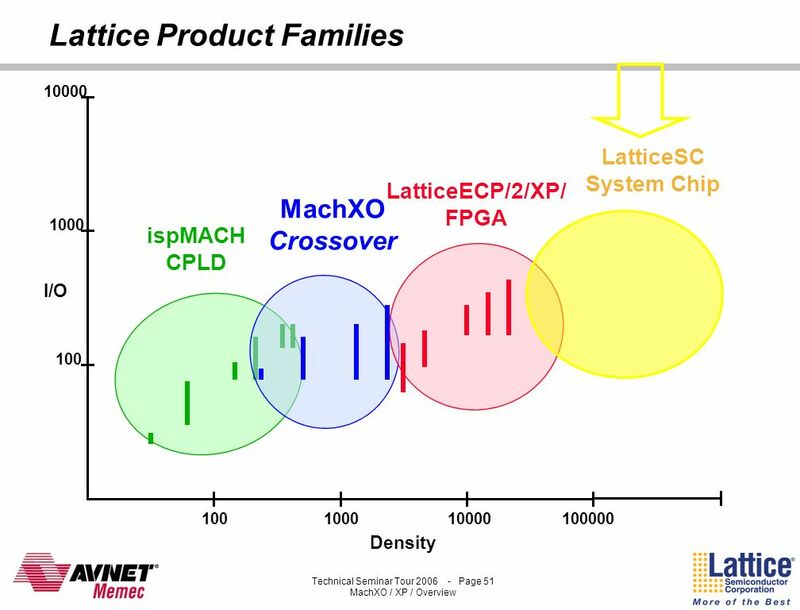 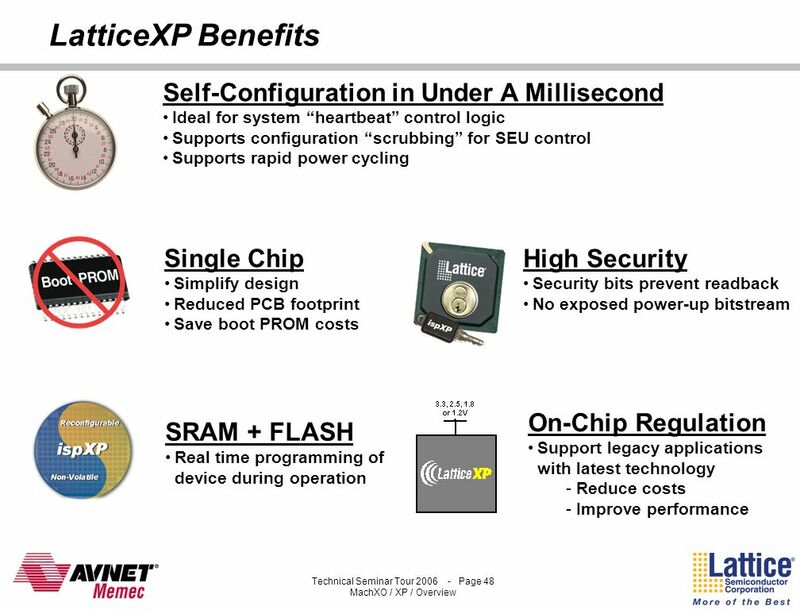 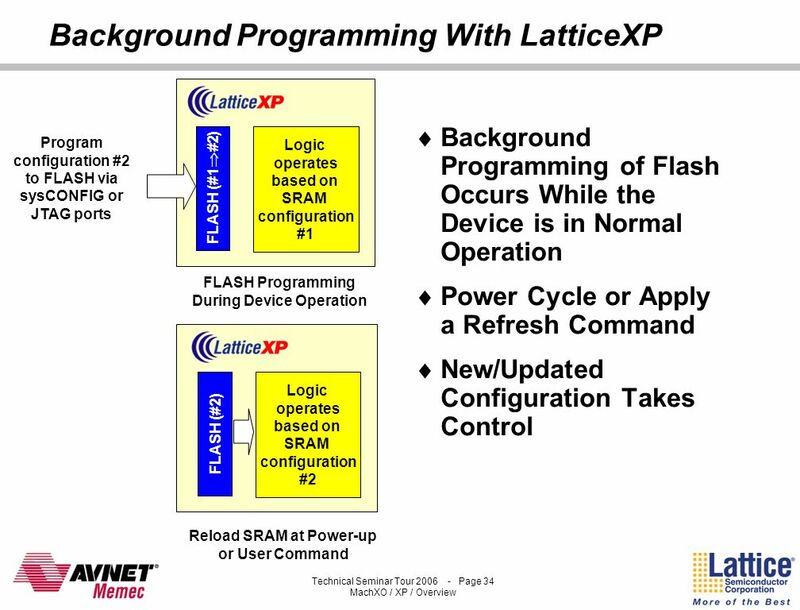 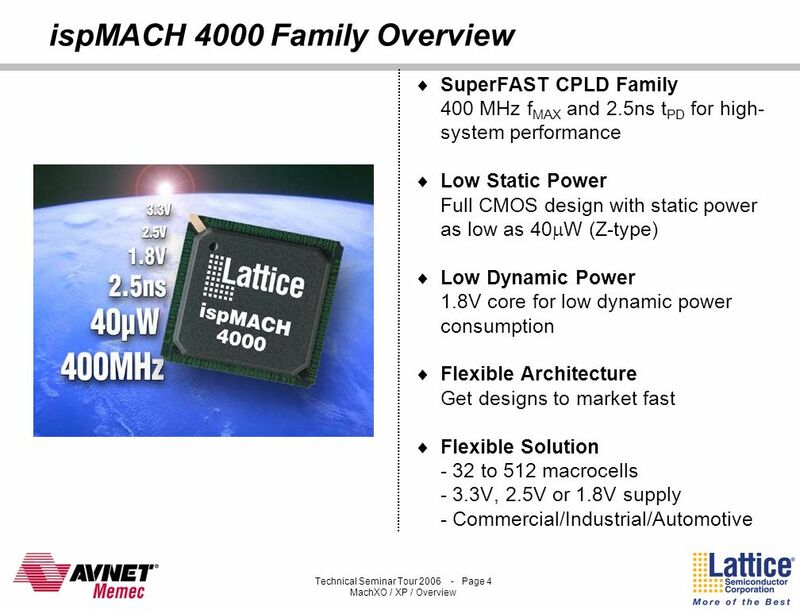 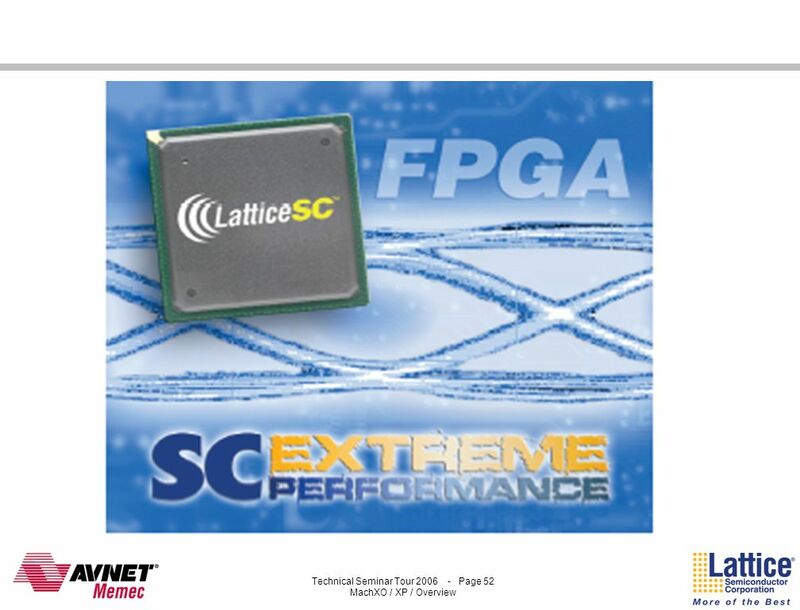 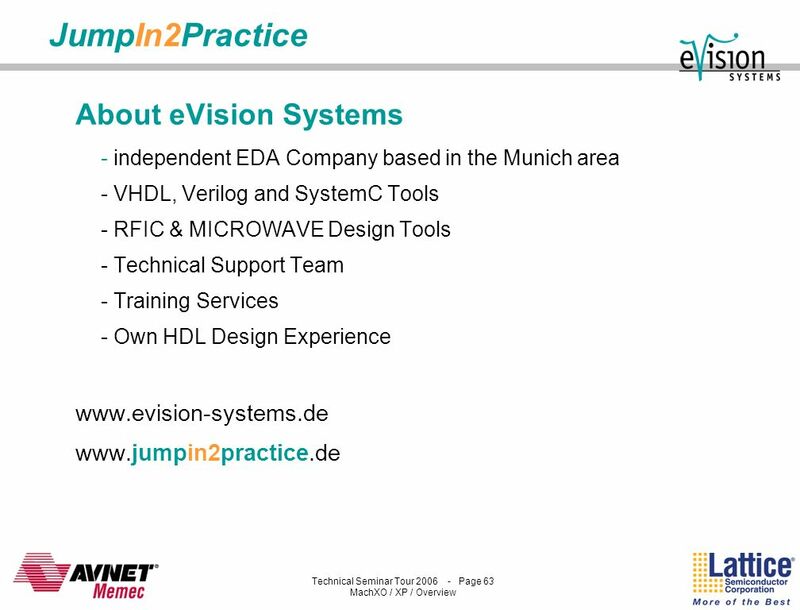 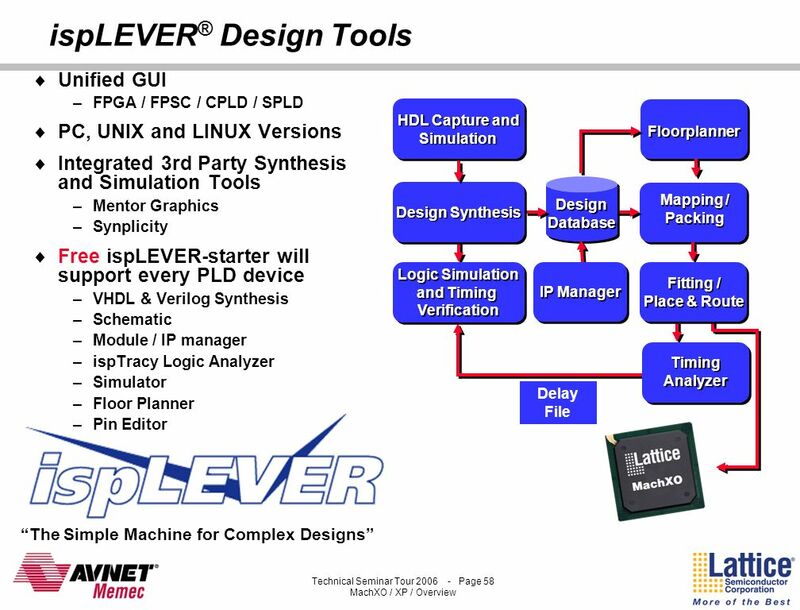 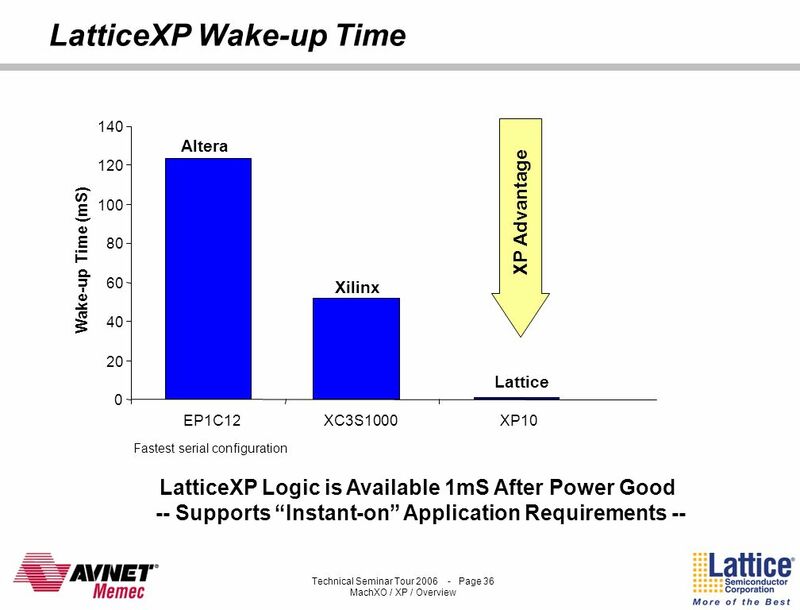 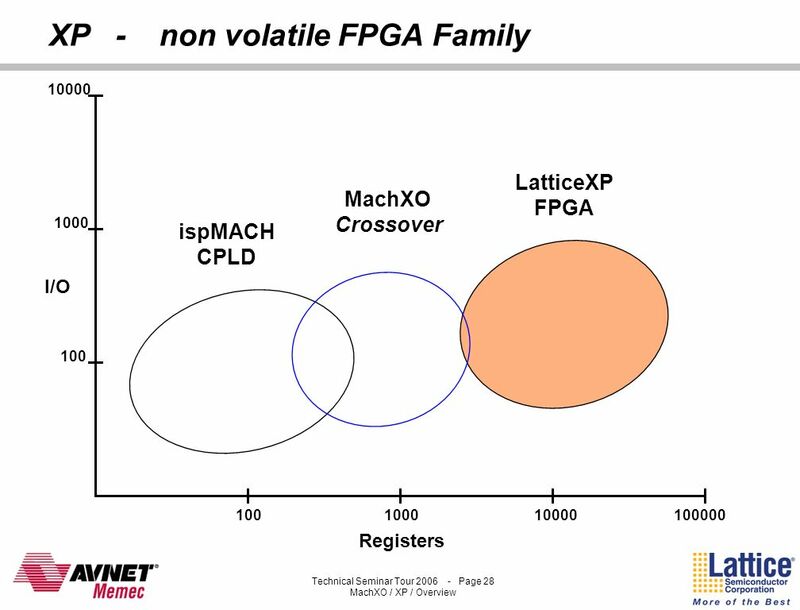 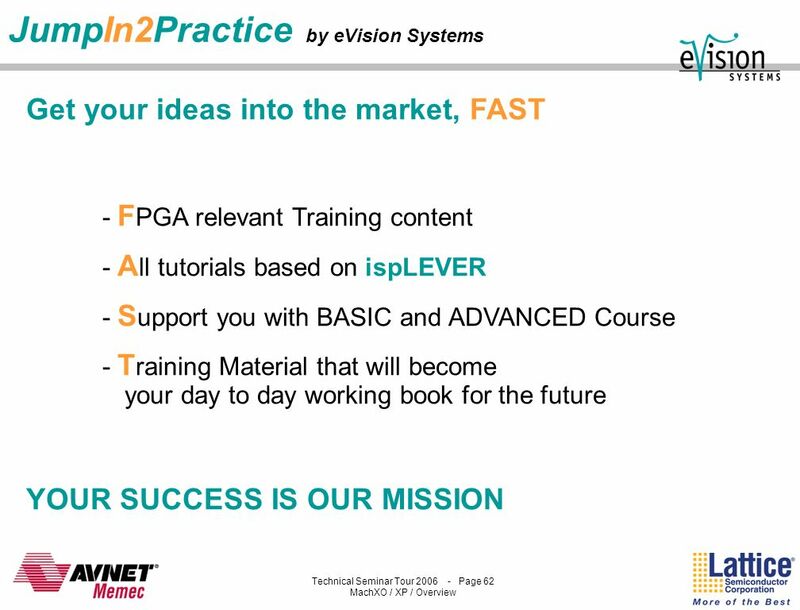 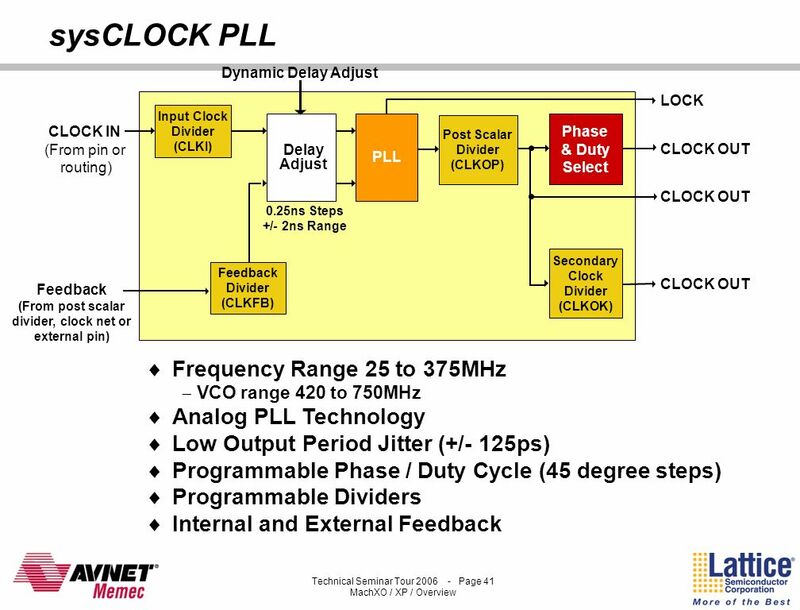 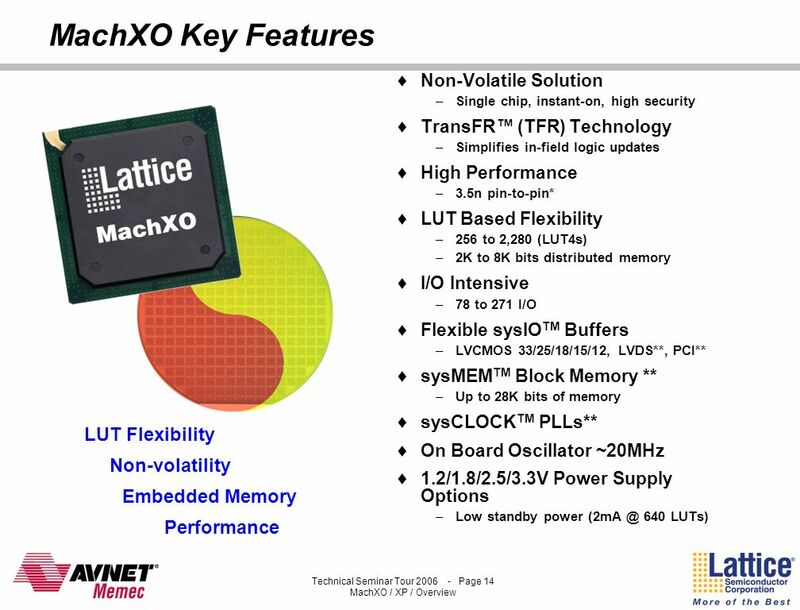 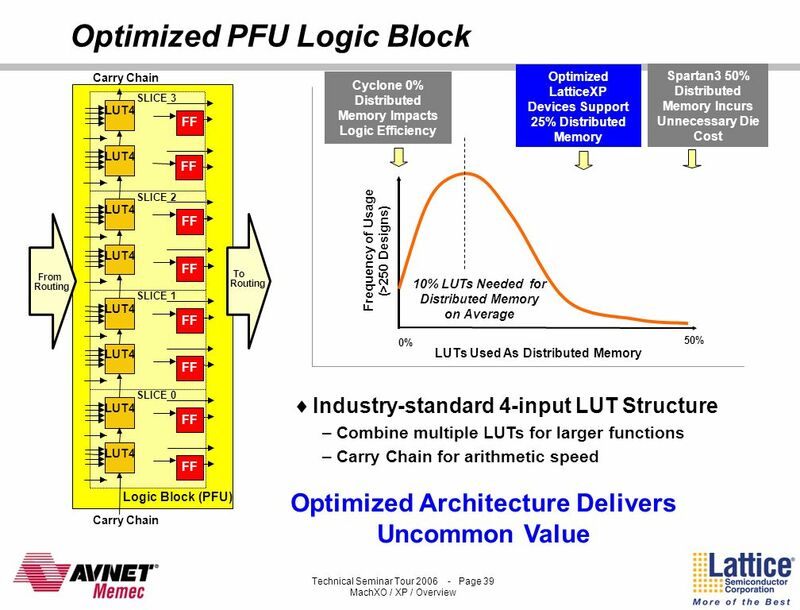 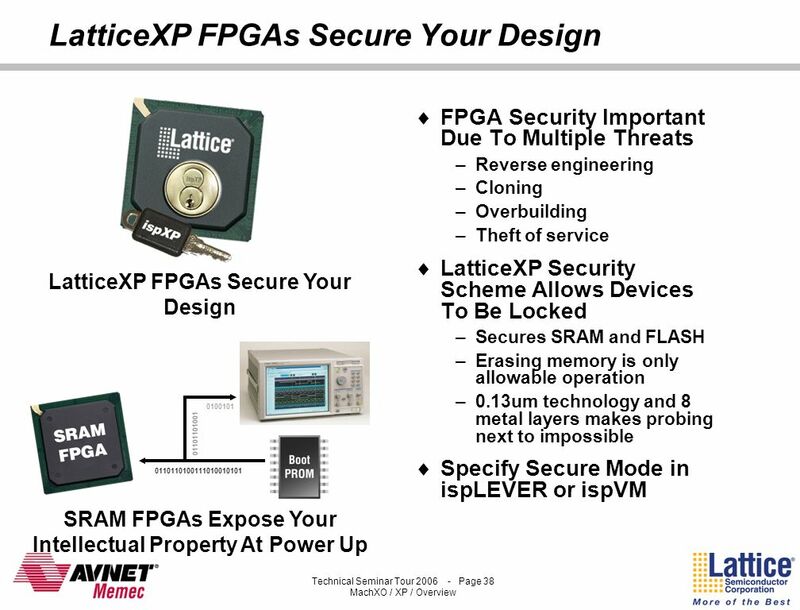 Download ppt "Technical Seminar Tour 2007 LATTICE‘S PROGRAMMABLE LOWCOST SOLUTIONS"
Forschungszentrum Informatik, Karlsruhe Power Estimation Approach for SRAM- based FPGAs FZI Embedded System Design Group (ESDG) Karlheinz Weiss, Thorsten. 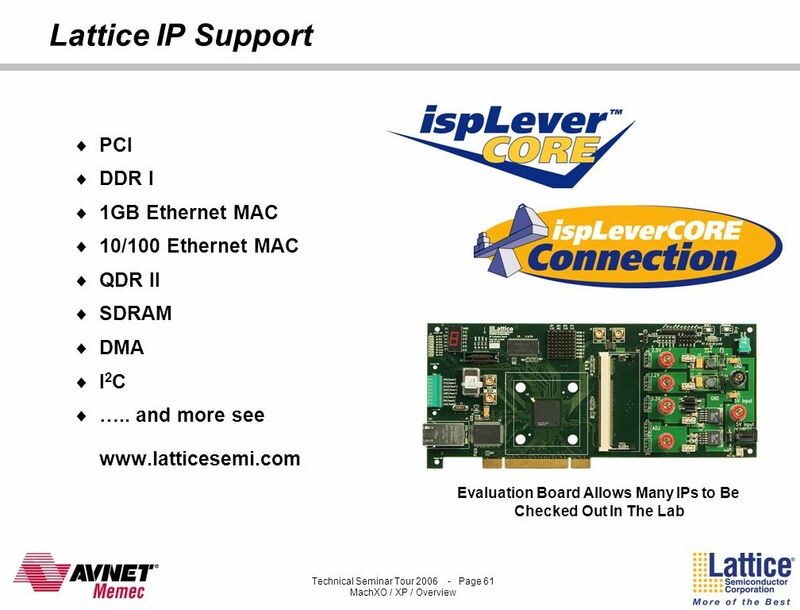 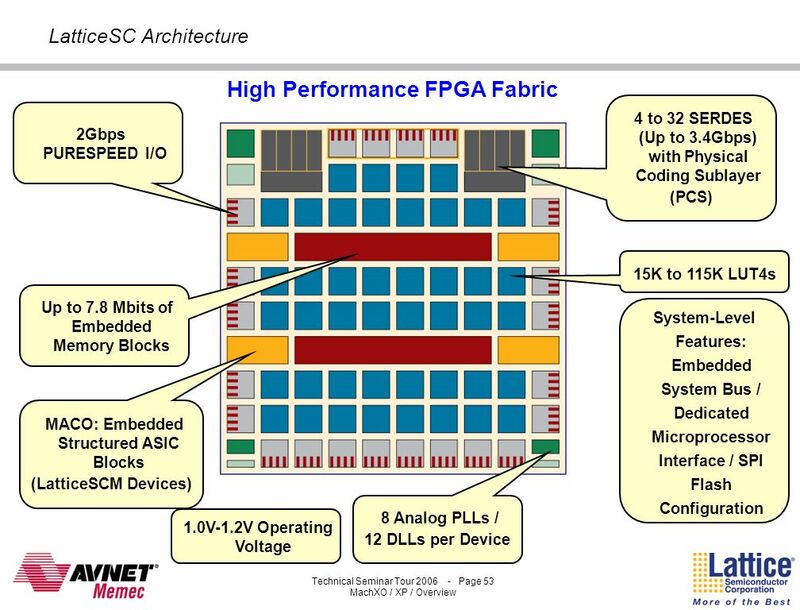 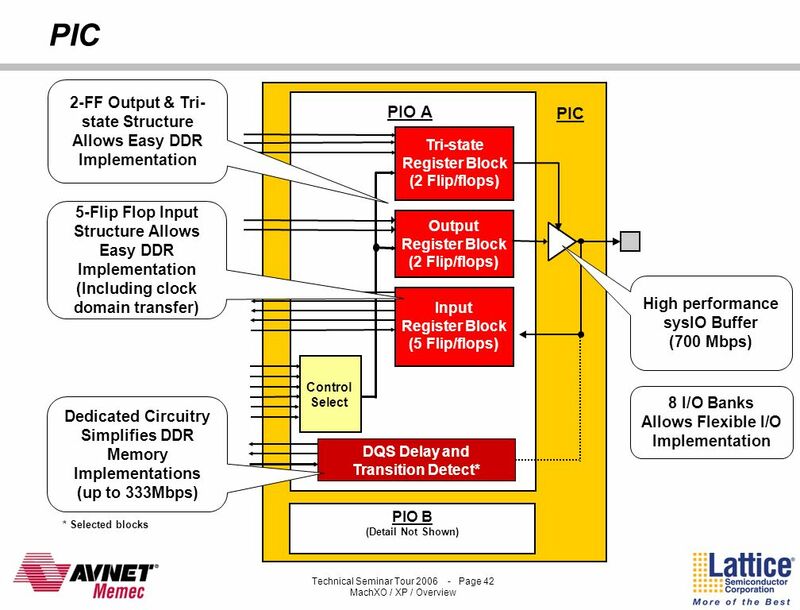 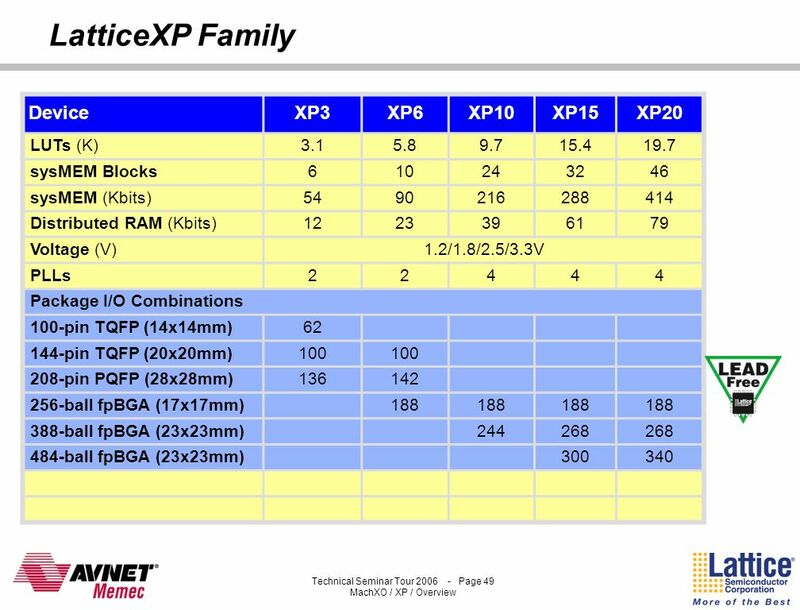 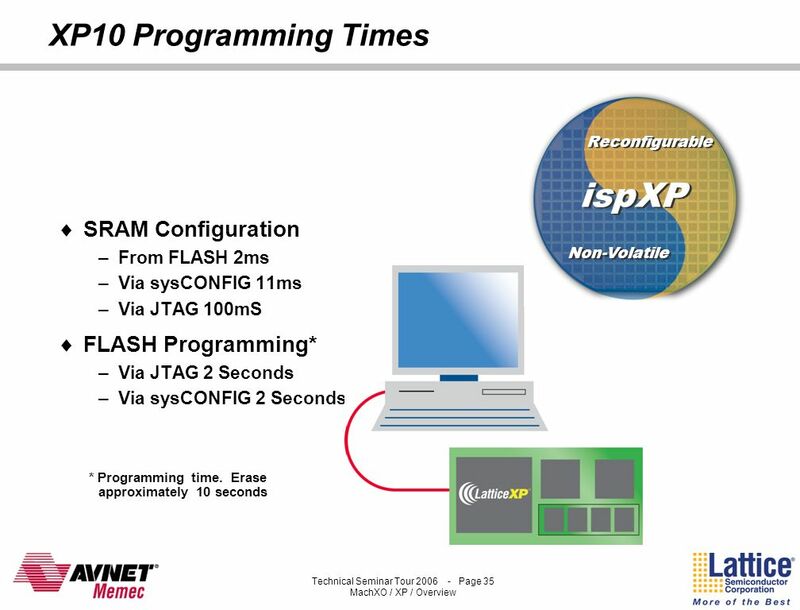 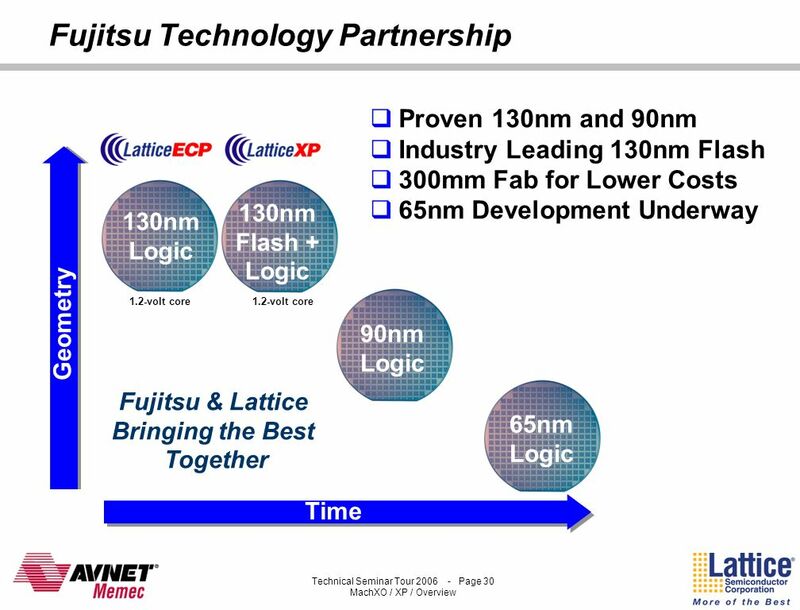 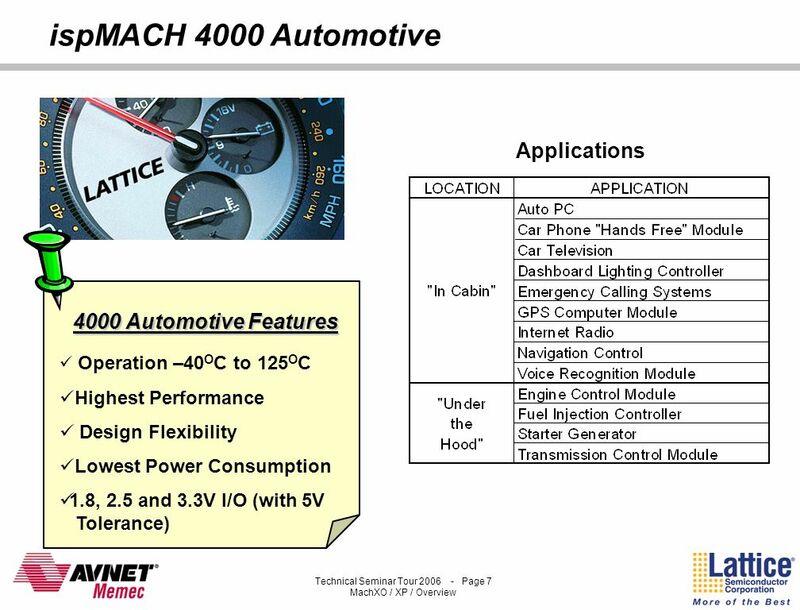 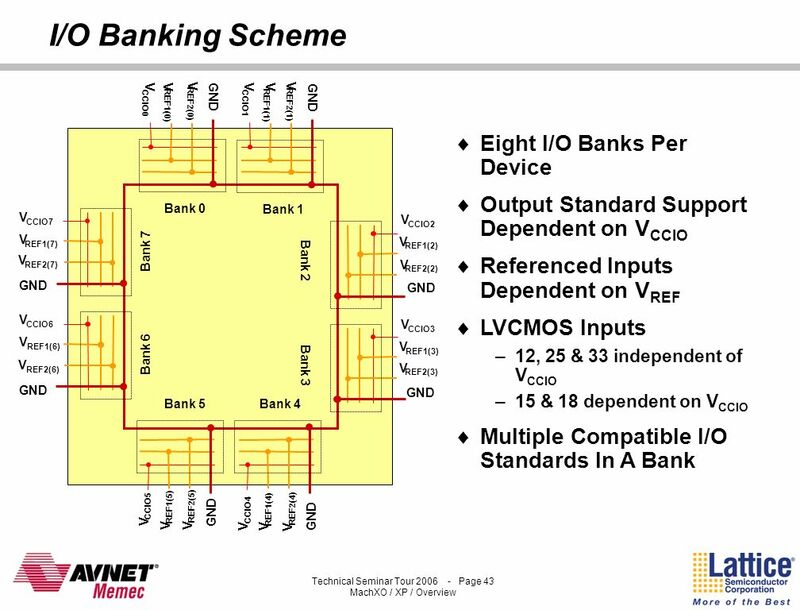 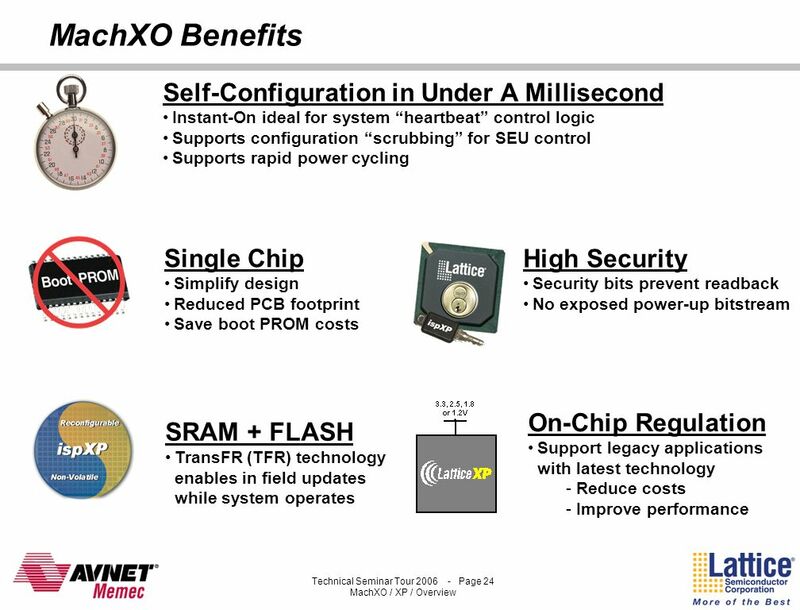 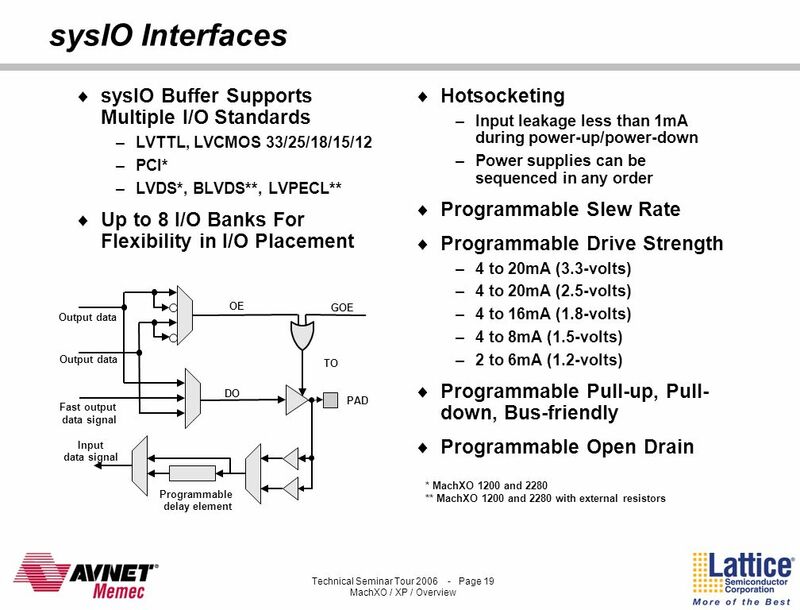 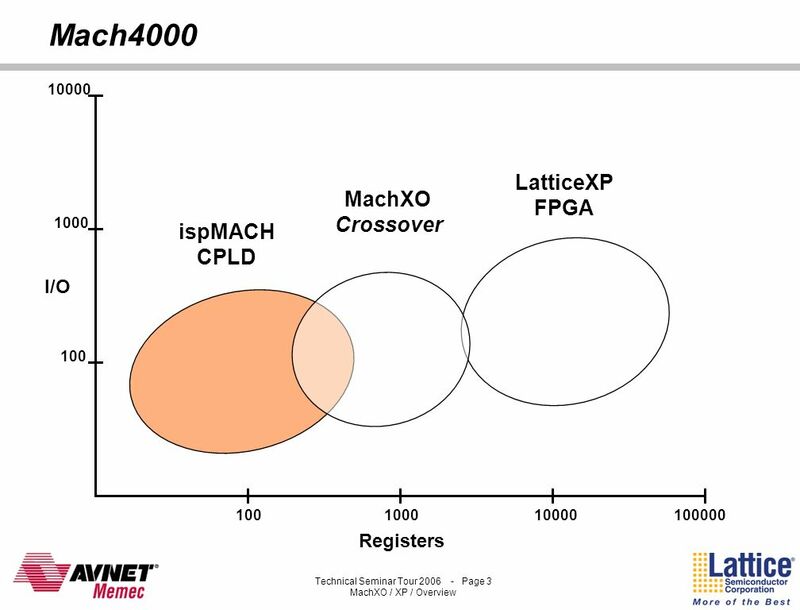 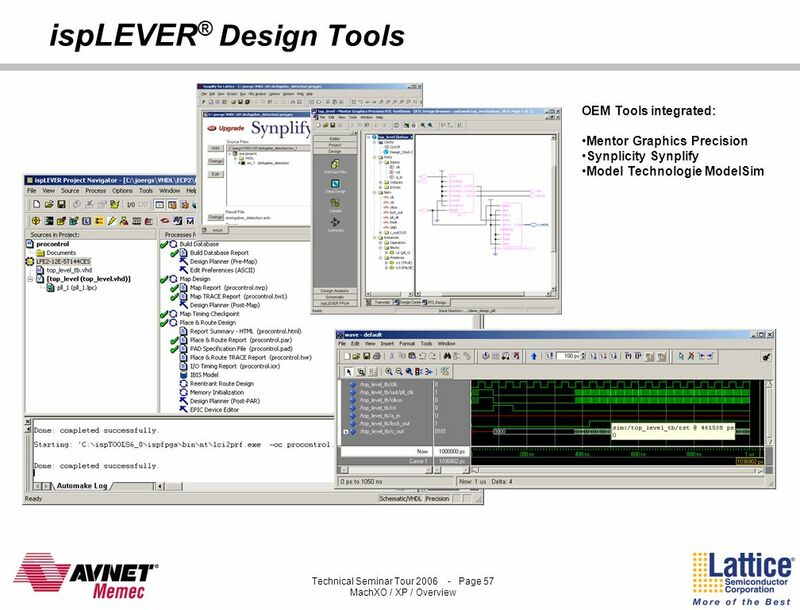 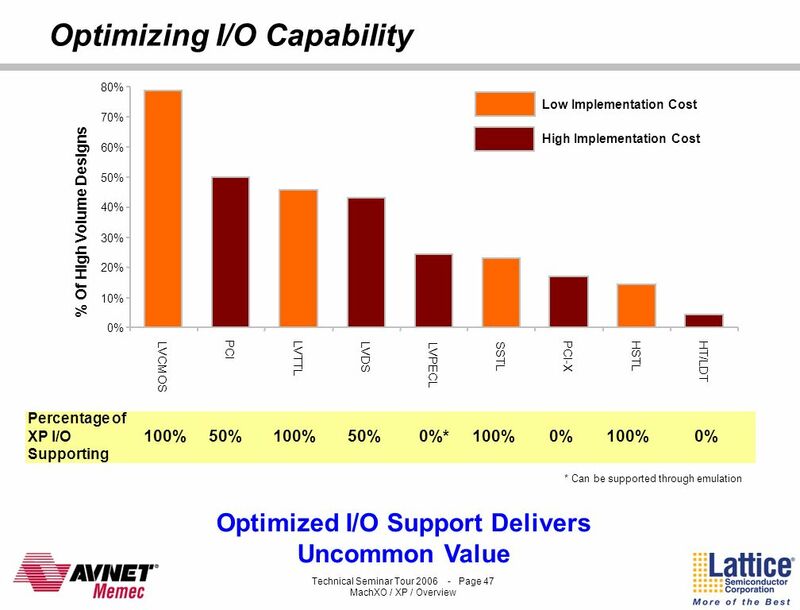 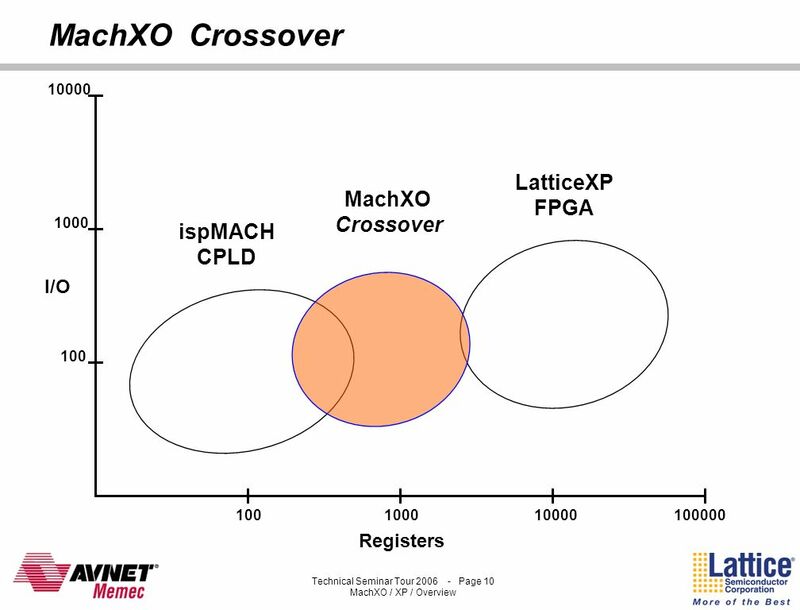 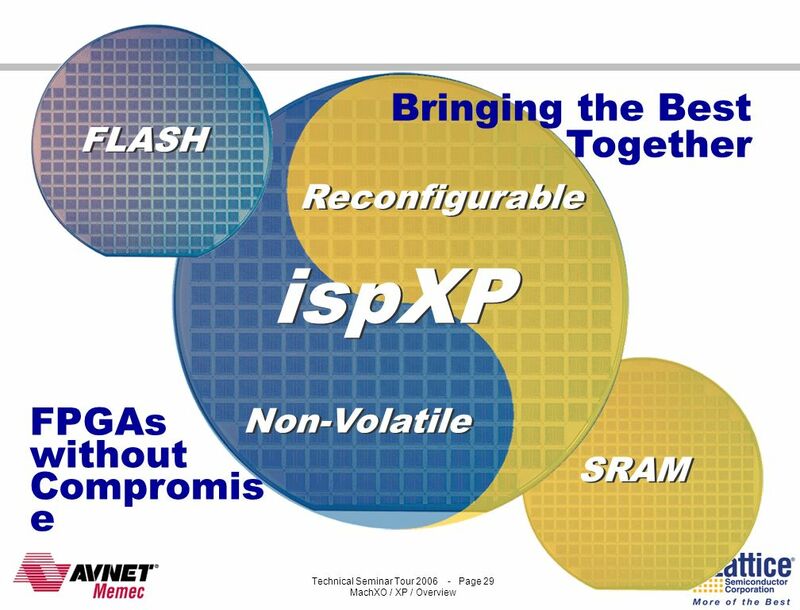 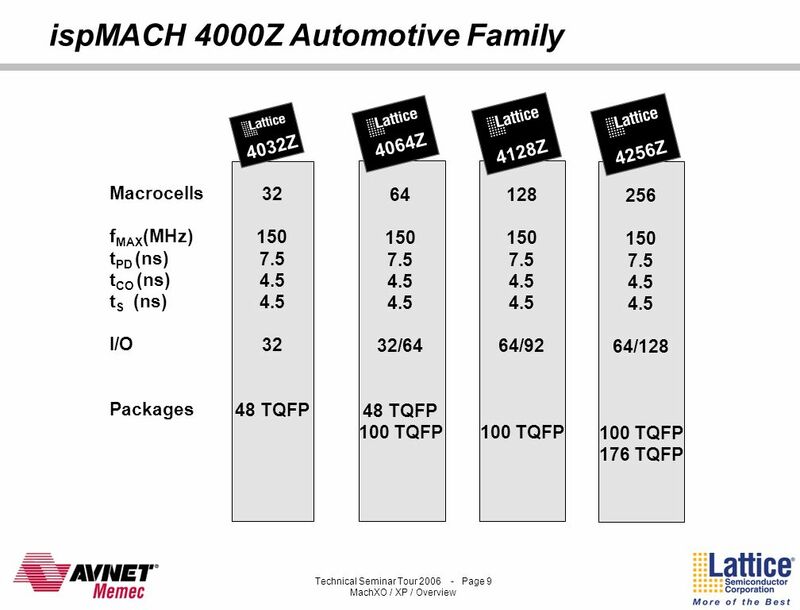 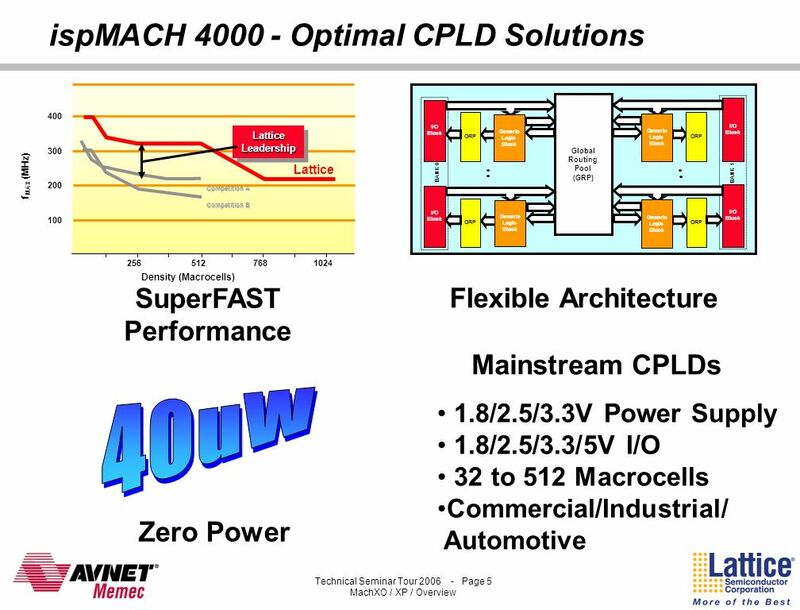 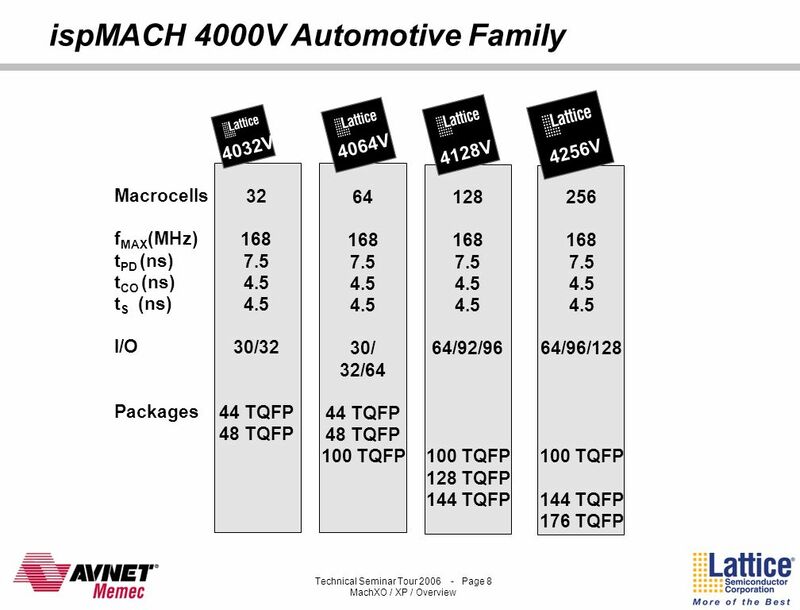 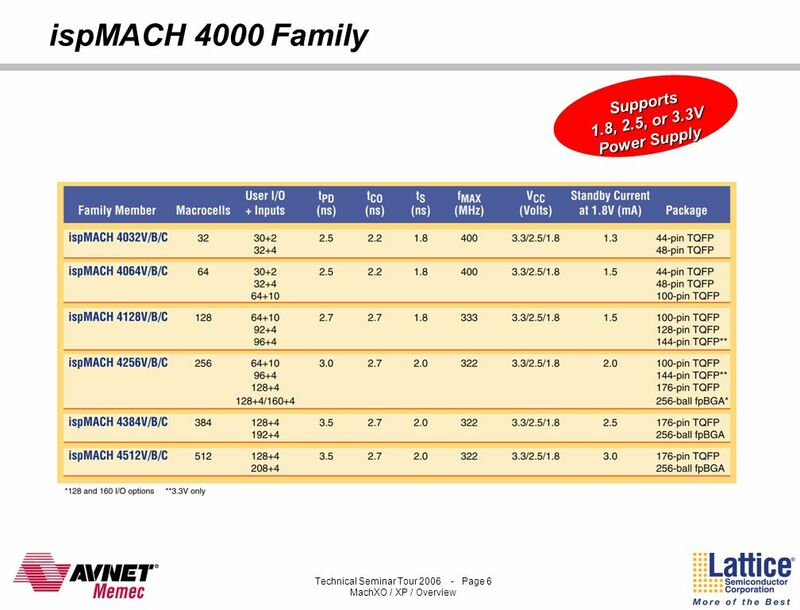 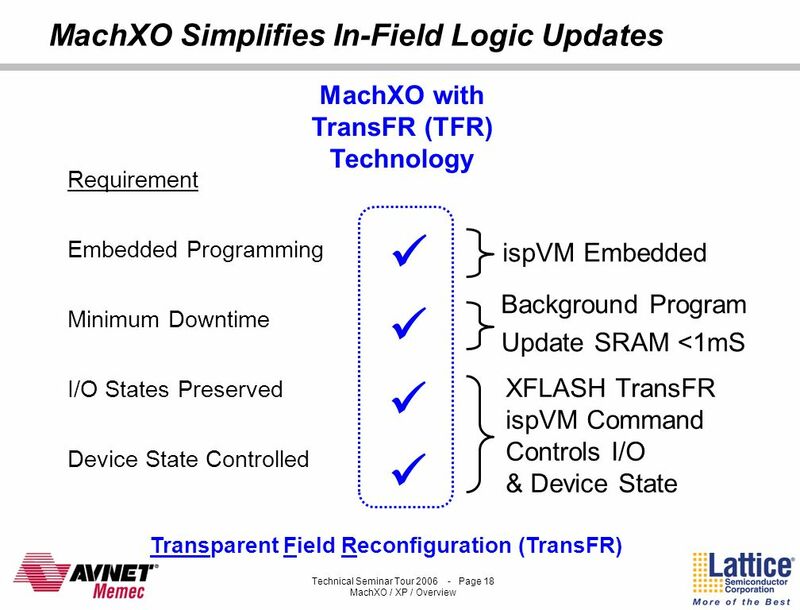 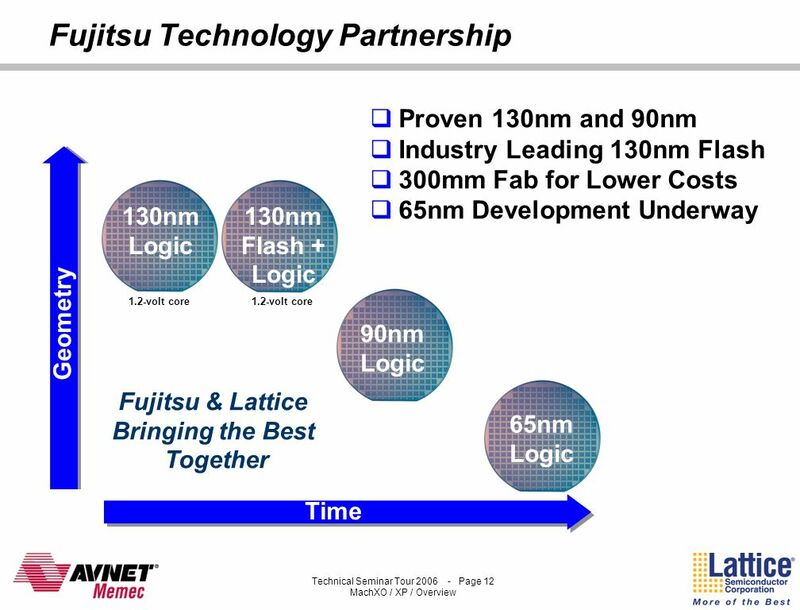 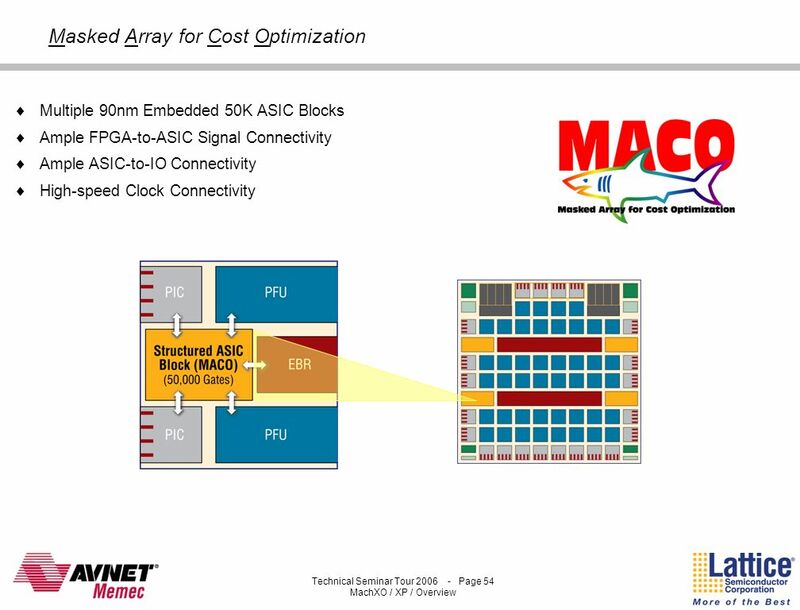 High Speed Data Acquisition Architectures. 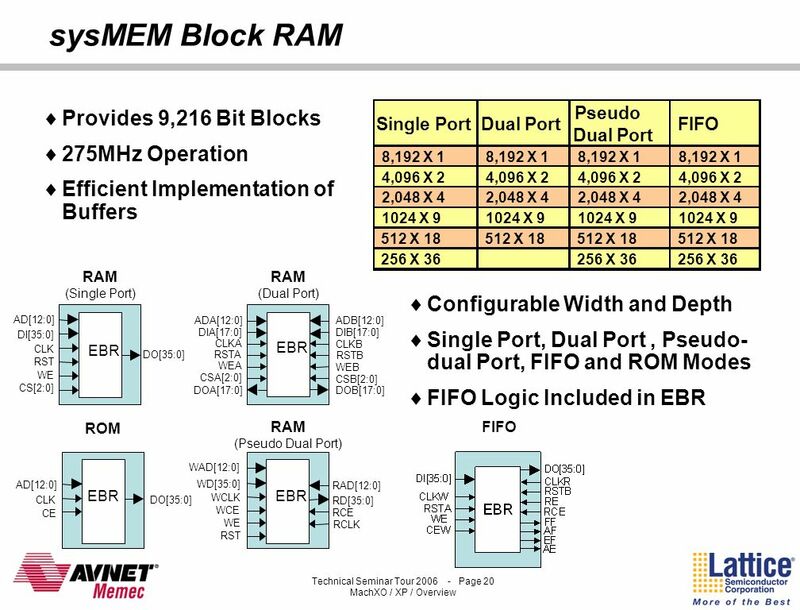 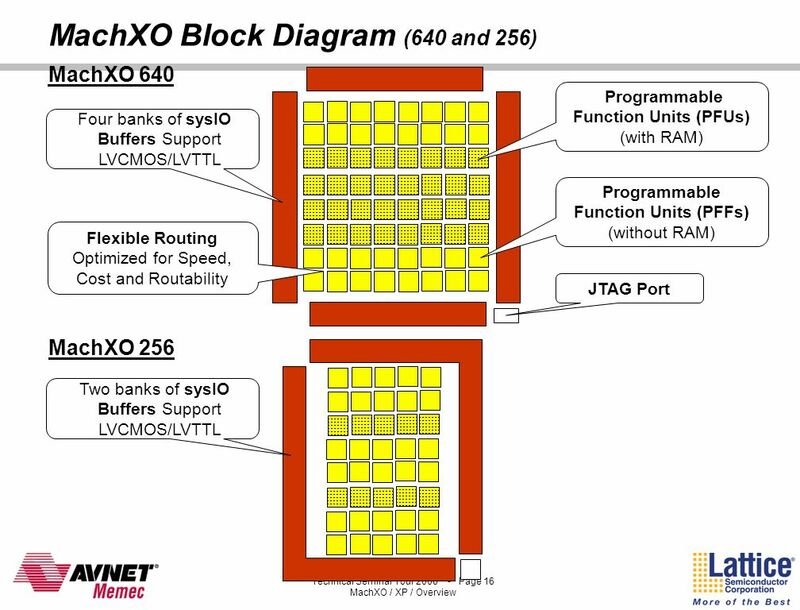 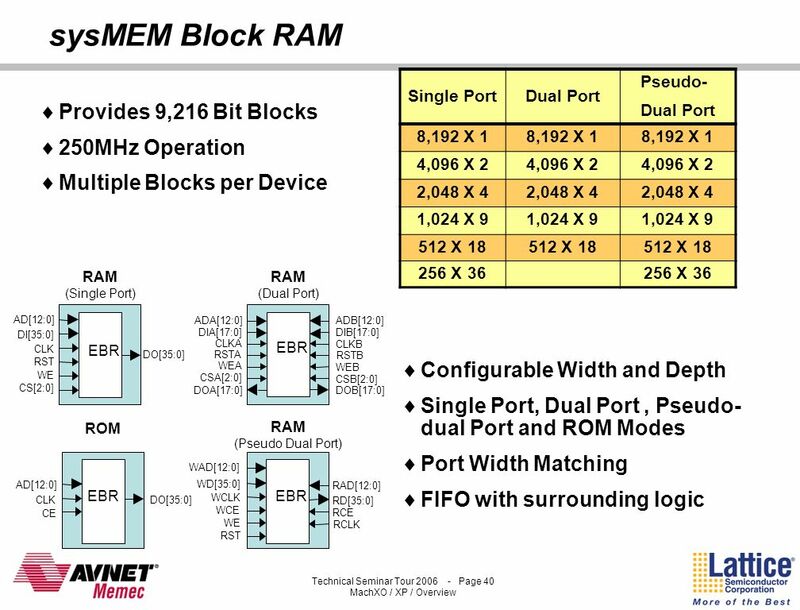 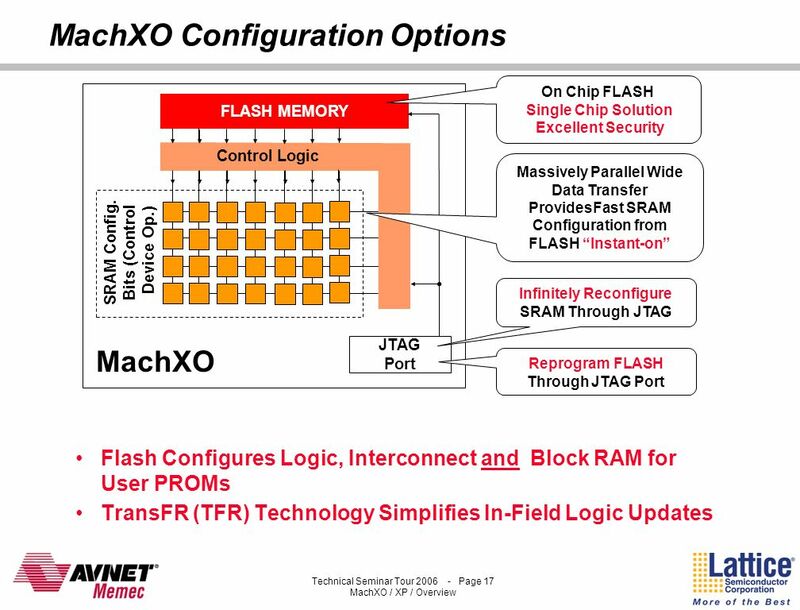 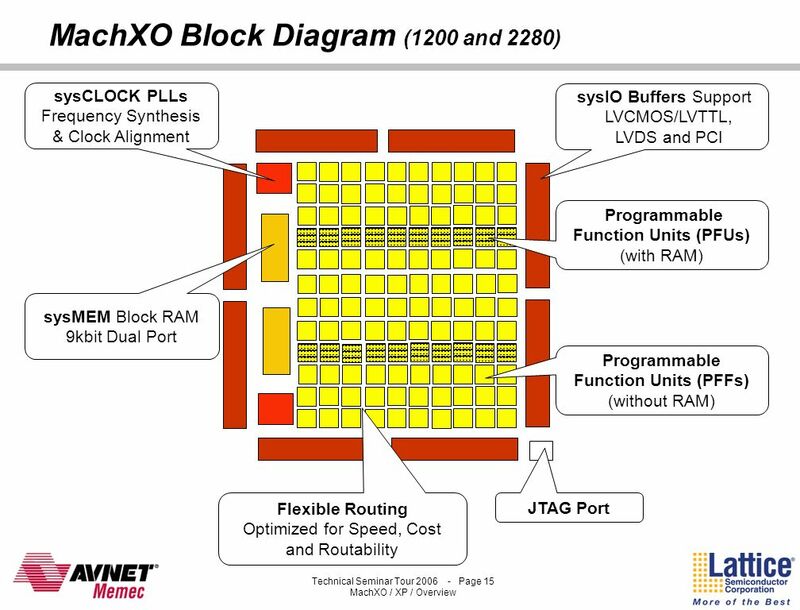 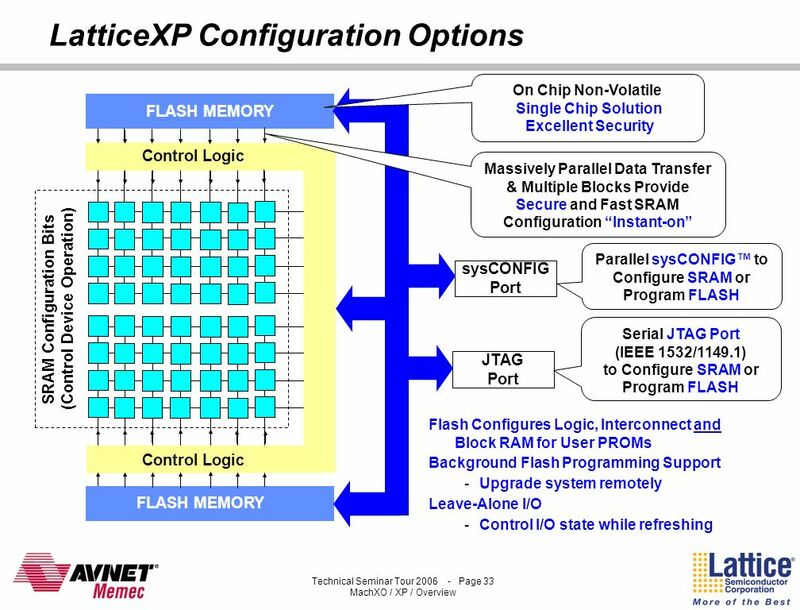 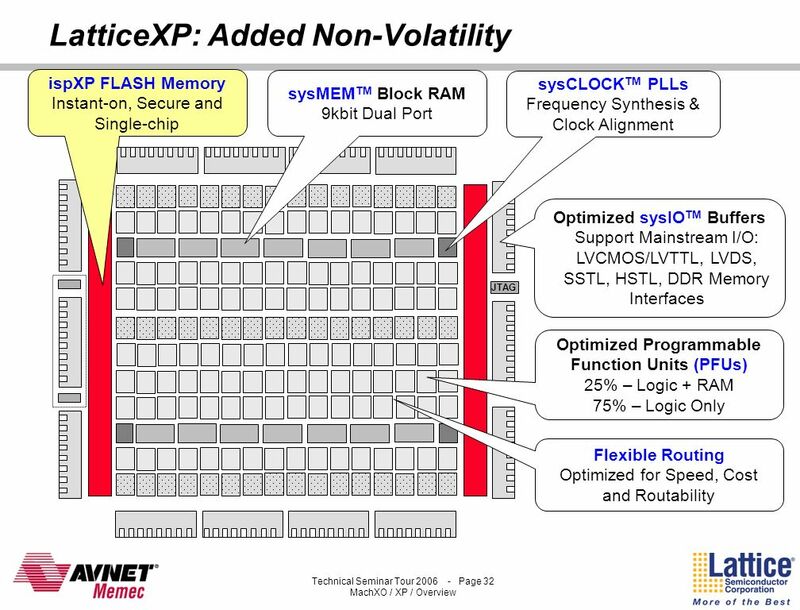 Some Basic Architectures Non-Buffered (streaming) FIFO Buffered Multiplexed RAM Ping Pong Multiplexed RAM Dual. 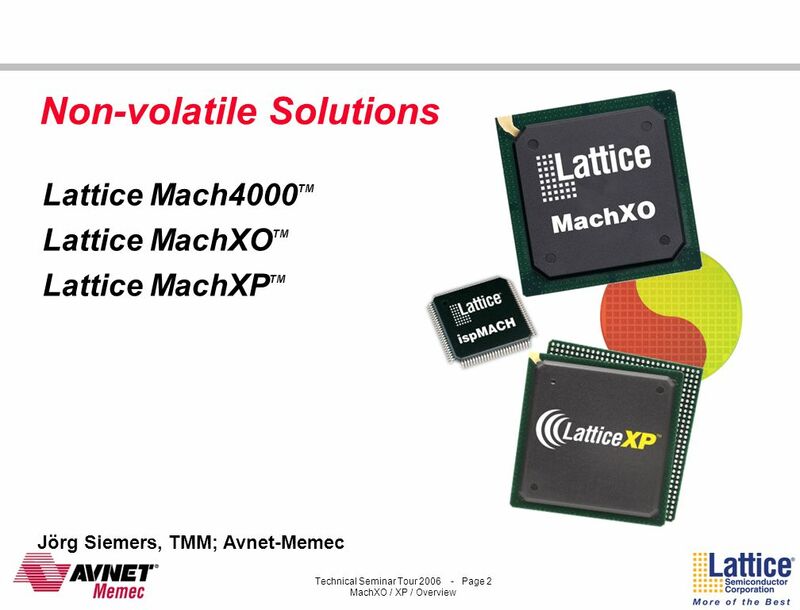 Presenter : Cheng-Ta Wu Kenichiro Anjo, Member, IEEE, Atsushi Okamura, and Masato Motomura IEEE JOURNAL OF SOLID-STATE CIRCUITS, VOL. 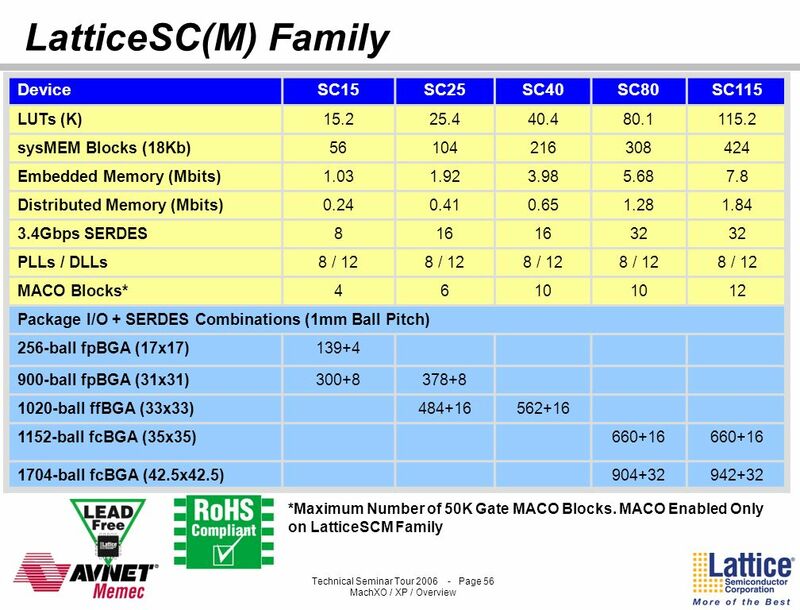 39,NO. 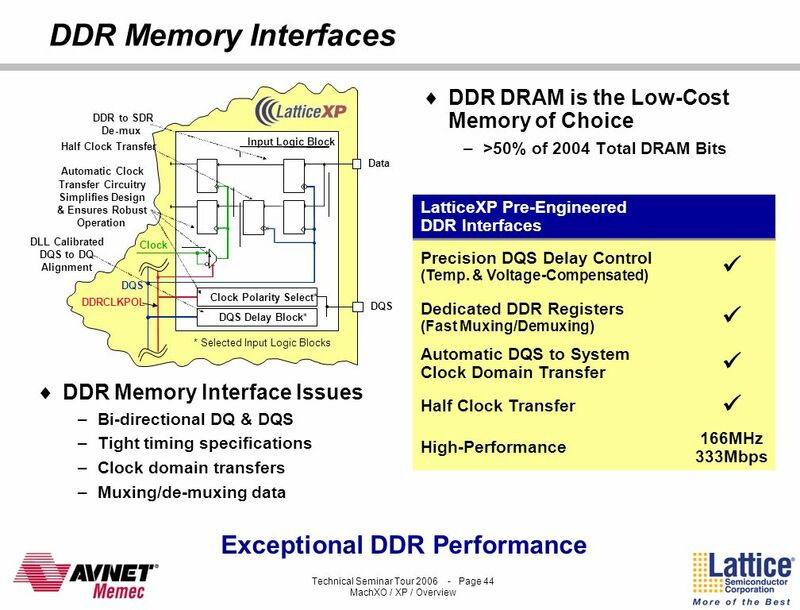 5, MAY 2004. 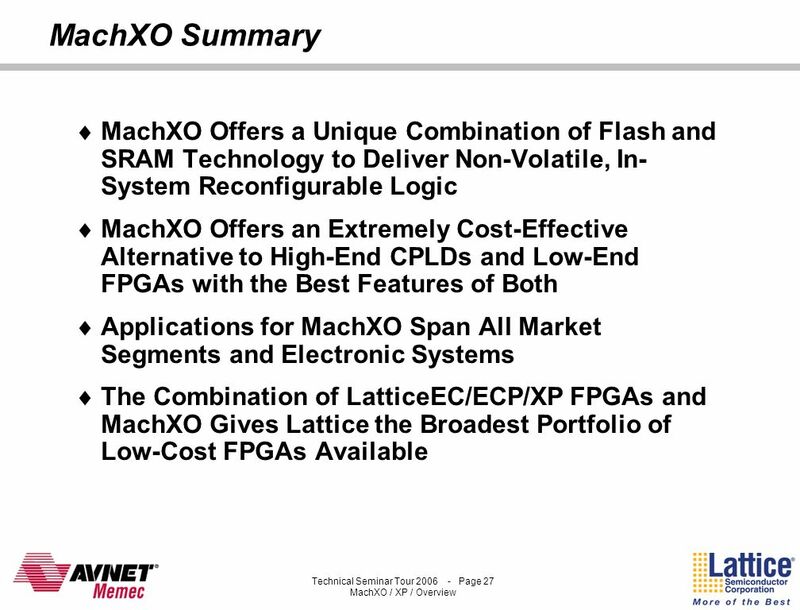 Flash Qing Xu Tie Chen. 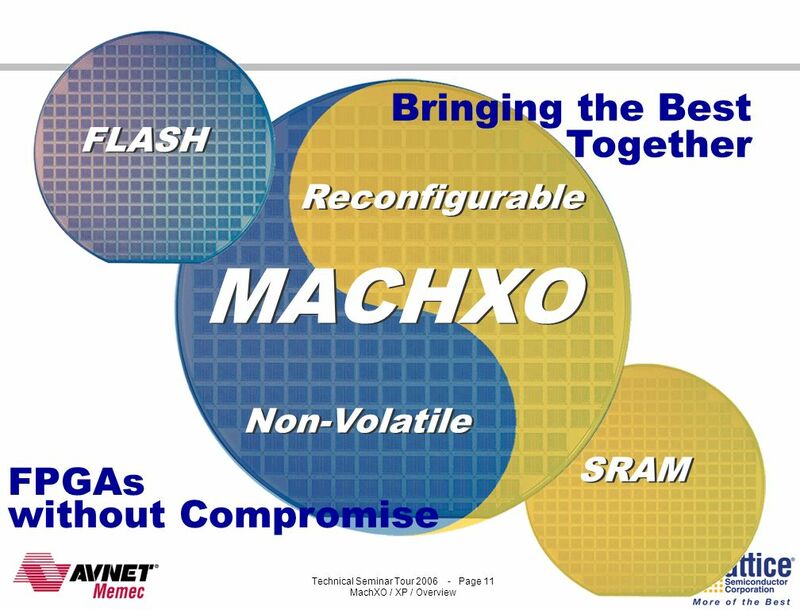 Flash An electronic device Non-volatile Can be electrically erased and reprogrammed Usage: Digital Music Device Smartphones Digital. 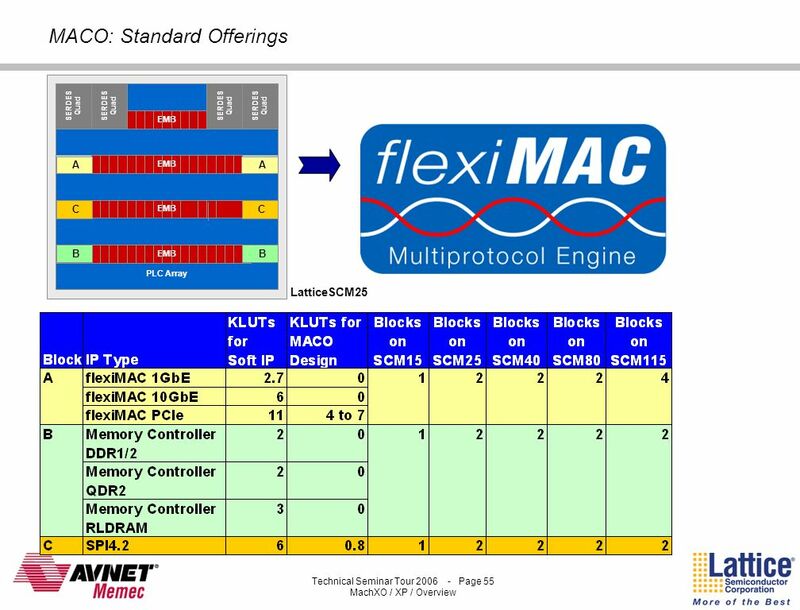 ECE 506 Reconfigurable Computing Lecture 2 Reconfigurable Architectures Ali Akoglu.